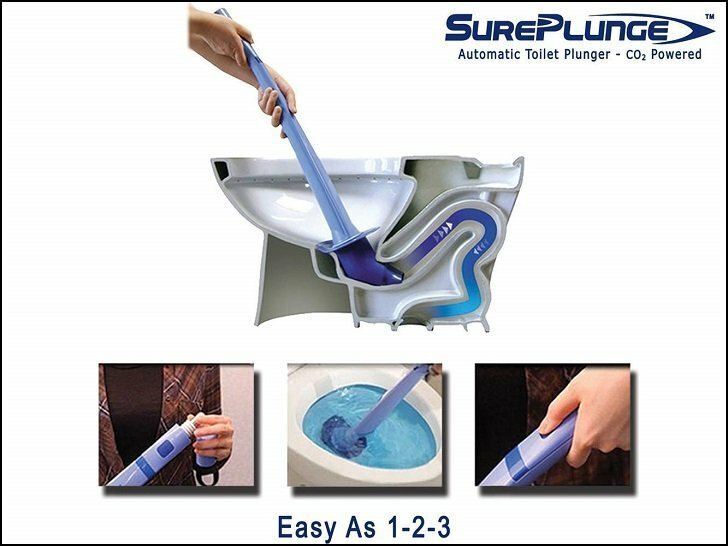 The SurePlunge Automatic Toilet Plunger with the power of CO2. High-tech concept for clearing toilets at the touch of a button in a safe and easy way. 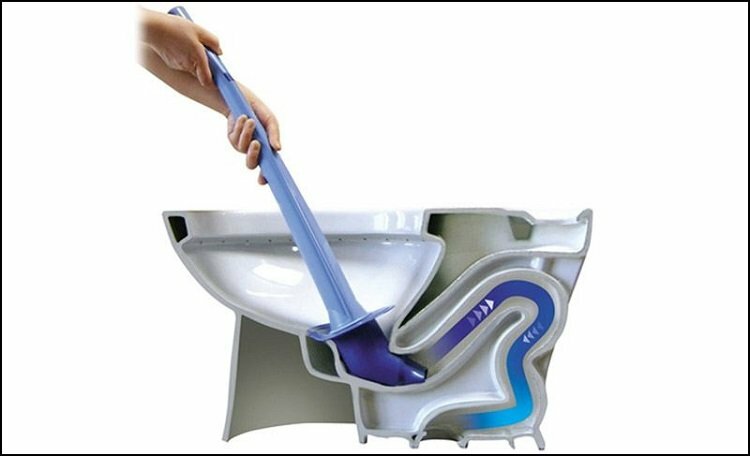 Holding the SurePlunge firmly in place, tilting it downwards, it forms an Tight Seal around the drain, Push the button which will release the CO2 gas instantly dislodges and clears the blockage.